We love school discos ! Here at Disco Charlie we love School Discos. We have done lots of them and because we specialise in children’s entertainment means we know exactly what makes the perfect school disco! School disco’s are great for children of all ages. If you’re a primary school, we normally suggest having your disco in two sections, i.e Key Stage 1 Disco (infants) followed by Key Stage 2 Disco (juniors). Various durations can be booked, however, an hour or an hour and a quarter for each session is normally works best. When it comes to music, Disco Charlie knows what’s hot and what’s not. We have all the latest tunes that the kids are listening to as well as the old party classics and party dances! We have the best RCF digital sound systems. To ensure a party atmosphere, we bring the latest LED FX Lighting and fabulous coloured lasers as well as smoke machines, snow machines and bubble machines. 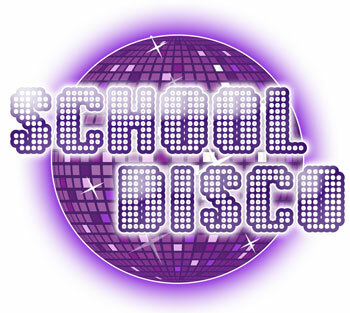 We also provide all the prizes for our carefully thought out school disco games at no additional charge! Having the right equipment is one thing, but you need a super-star school disco DJ to really get the party going! Disco Charlie will entertain kids of all ages with his amazing DJ skills and personality. He will wow the disco goers with his incredible amount of energy and sense of fun! He will engage with the whole room, keep the atmosphere going throughout but at the same time keeping control of the kids from start to finish! Of course, no-one likes paperwork but Disco Charlie has it all in place. For your peace of mind, we have £10million Public Liability Insurance and enhanced CRB/DBS. All our equipment is PAT tested and visually inspected regularly to comply with the new 2014 HSE regulations. You will also receive a FULL receipt and you can pay for it by school or PTA cheque if you like. Cash is also no problem. Some schools allow the year 6 to plan their own end of year prom. Disco Charlie is more than happy to go into the classroom and help the children plan the perfect party!